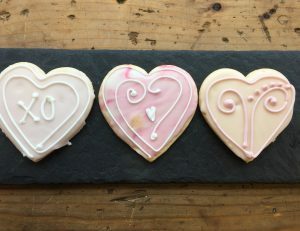 We are taking orders for our delicious Valentine heart shaped Cut Out Cookies, and decadent Flourless Chocolate Cakes. 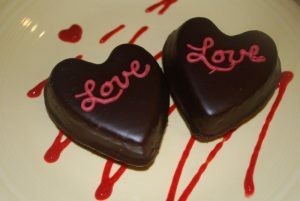 They are available for pick-up on Tuesday, Feb 13 or Wednesday, Feb 14. Orders must be placed by Monday, February 12th. Pick up: Tuesday, February 13 or Wednesday, February 14. Let us know which day is best!